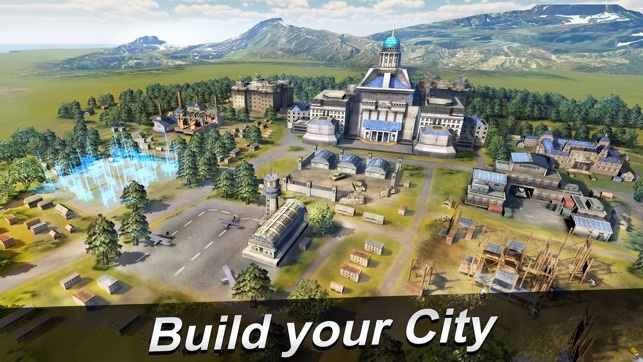 - Build and expand your base into a formidable stronghold. - Train up to 32 different types of land, air and sea units. 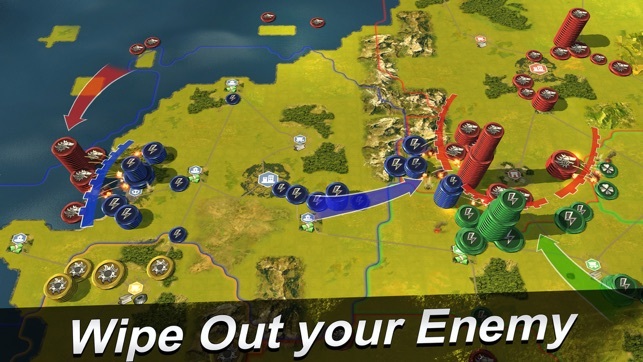 - Gain an edge in war by upgrading your infantry, tanks, aircraft carriers, and much more. - Form alliances and join leagues and take on players worldwide. 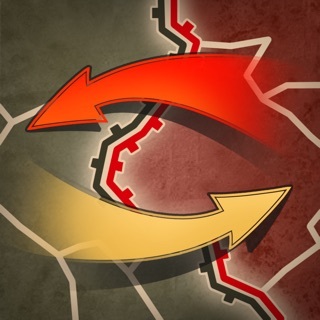 - Strategize attacks, upgrades, defenses, and building priorities. 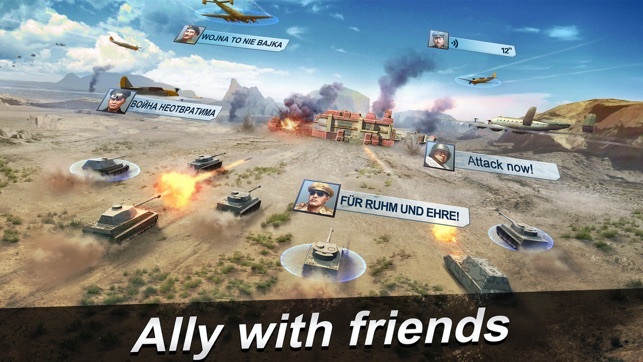 NOTE: this game is NOT compatible with iPhone 4, iPhone 4s, iPhone 5, iPhone 5c, iPod Touch 5, iPad mini 1st, iPad 1st Gen, iPad 2nd Gen, iPad 3rd Gen and iPad 4th Gen. 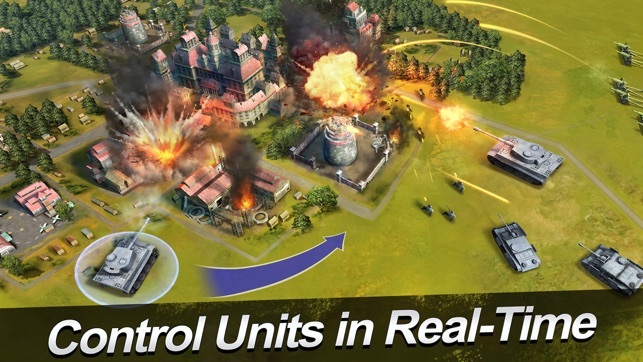 I have really enjoyed this game, it runs well, the units are diverse, and it is extremely fun. Although there are some problems with it. My biggest problem with the game is that there are basically only 2 ways to win and that’s artillery and bomber spam. 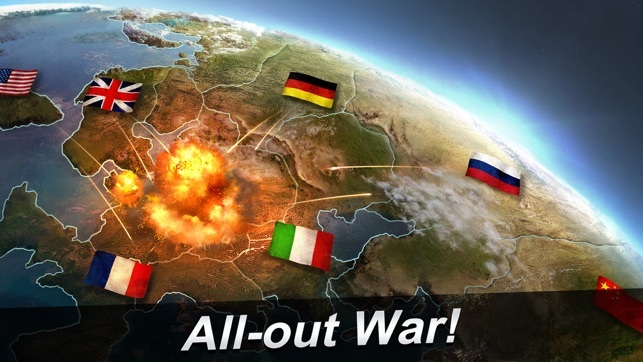 Literally if you try to use other units they will normally be shredded by someone who has 40 or more bombers and artillery and the only way to counter this is with your own horde of bombers or artillery. This make the gameplay pretty limited at times unlike early game where you pretty much use what you want and won’t be horrendously punished for it. I think you could fix this problem by making it so that artillery can damage itself at close range or does area damage to your own units to balance it a little bit, or just limit how much damage area damage does. Bombers can be easily countered by having some aa support that has the area damage ability although sometimes this functions weird and won’t actually work. What’s bad about this ability though is that it only lasts 5 minutes and there are only 2 units that have permanent area damage. These are the cruiser and the bofors but most of the time they aren’t worth investing as the bofors dies really fast and the cruiser isn’t an ideal solution. Besides this flaw though the game is pretty great. OK. Glad to hear you are enjoying the game. I'll make sure pass your advice to the developers for their information. Yeah, game reinstall helps solve these issues. Good! Glad you like the game. I'll make sure to pass your suggestions to the developers for their information.